Holiness and Justice: What’s the difference? I was confused for a long time by statements I read about the condition of Adam and Eve before the fall and our condition afterwards. Our first parents were in a state of holiness and justice before the Original Sin and they lost these. Consequently we are born without them. But what do these terms mean? St. Paul tells us we were “created after the likeness of God in true righteousness and holiness” (Eph 4:24). God created Adam and Eve in a state of original justice and original holiness (CCC 375). 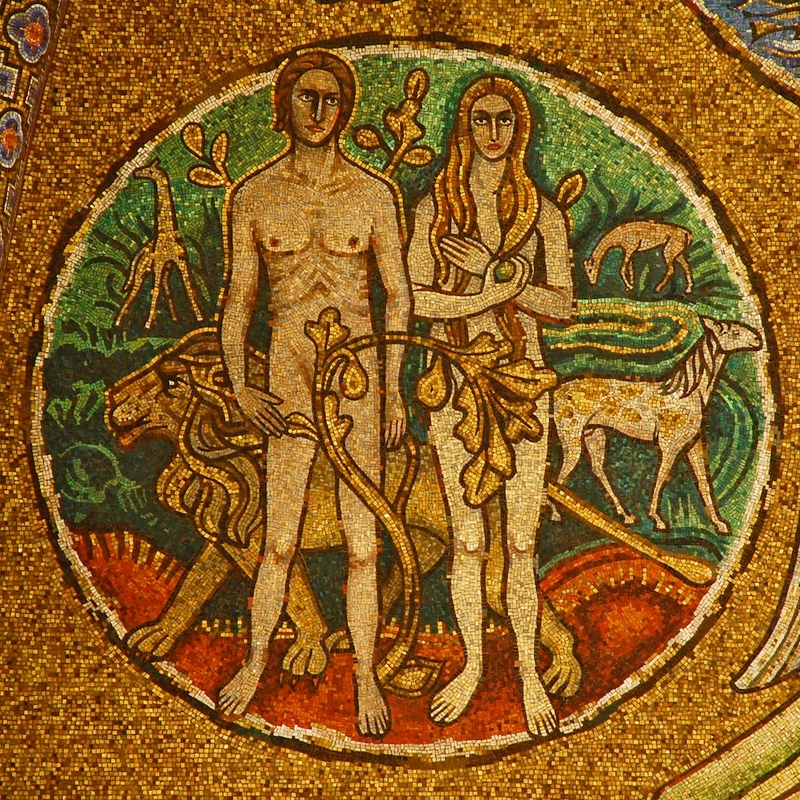 According to the Catechism, original justice means Adam and Eve were in a right relationship with themselves, each other, and all of creation (CCC 376). Original holiness means Adam and Eve shared in God’s own life through sanctifying grace, so they were adopted children of God (CCC 375). So basically, justice refers to our relationship with created things and holiness refers to our relationship with God. If it sounds too complicated still, we can say that holiness simply means a relationship of friendship with God. Justice is the same thing, friendship, but extended to creatures. this article helped me to understand what the catechism was explaining. thank you. I struggle to understand this. Original Holiness seems to me to be a meaningless idea that relies upon another meaningless idea called sanctifying grace. I am none the wiser. I would be grateful if this could be explained in terms of the real world, that is the world in which we live. If I sound a bit off it is because of my frustration at the lack of clarity that comes with these ideas. rgds, igor..
btw, Paul can say whatever he likes, but to me he is no more than a self-proclaimed apostle for which there is no verification. Anybody can make such a claim if verfication is not required or available. As for the Catechism, the CC can say whatrever it likes but unsubstantiated assertions are just that. Why anybody takes any notice is beyond my comprehension..
As for your lack of “comprehension” why anyone takes any notice, you could check out the website Strange Notions and look especially at the comments of Ye Old Statistician.